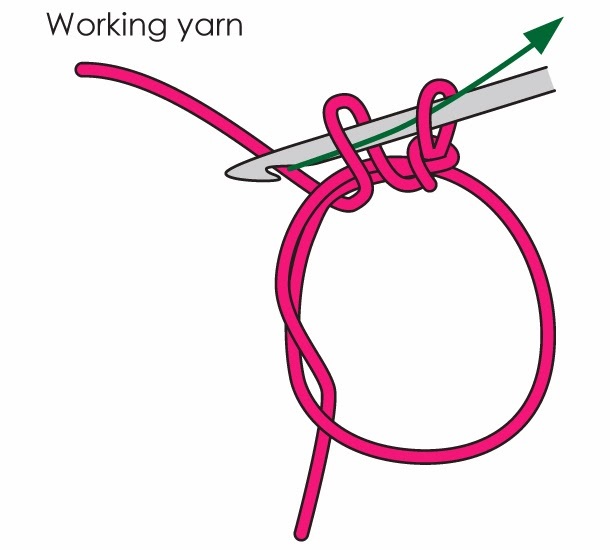 I'm almost done writing the pattern for my crocheted bear but my proof reader has suggested that I include a tutorial on working the magic loop. It's taken me days to draw all the diagrams so I thought I should share them with you. 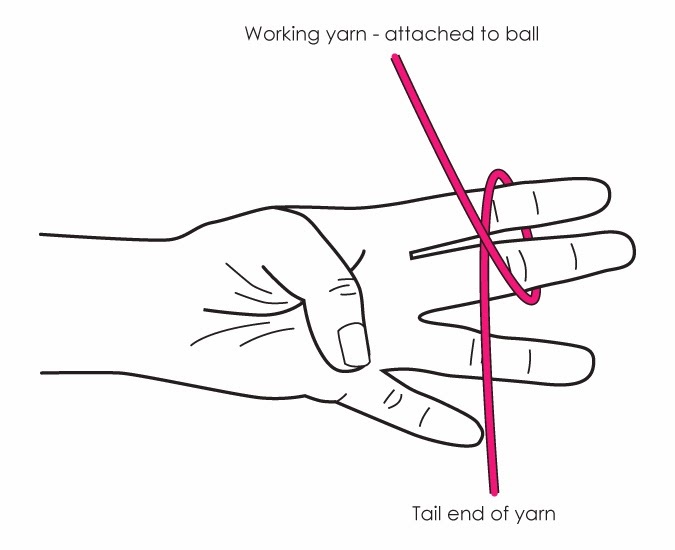 When you are crocheting toys or hats in the round, it is ideal to start with a ring of stitches with no gap in the middle - there's nothing worse than being able to see the stuffing coming out your bear's bum. A magic loop does this perfectly. 1. Wrap the yarn around your index and middle fingers so that the working end of the yarn comes in front of the tail. 2. 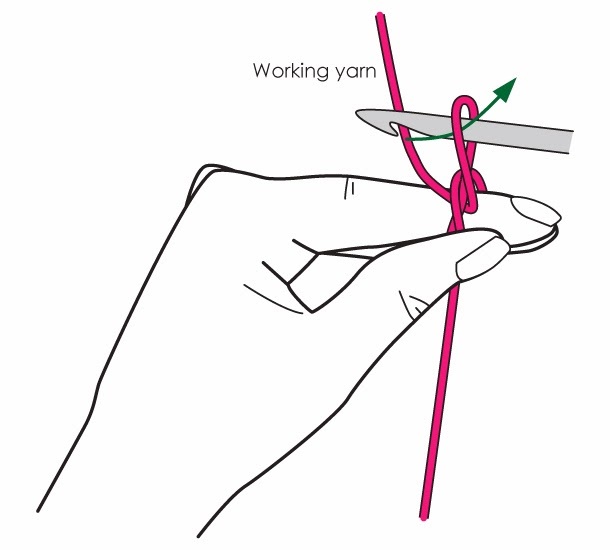 Using your thumb to hold the wrapped yarn, hook the working yarn through the loop. 3. 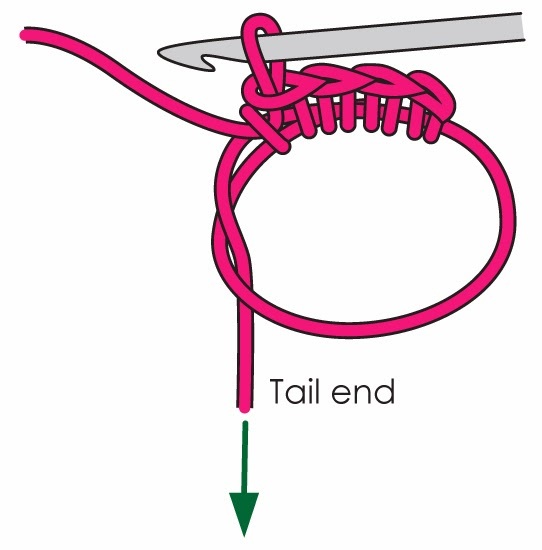 Work 1 chain to secure the loop. 4. Work the stated number of double crochets into the centre of the loop. 5. 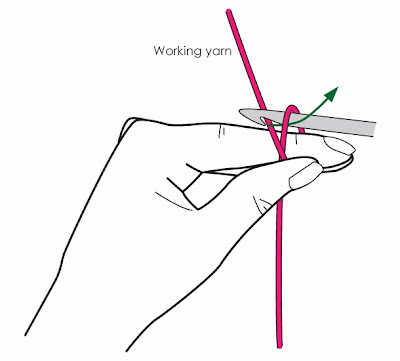 When you have the required amount of stitches, tug the tail end of the yarn to tighten up the loop until there is no hole in the middle. And that's it! The perfect start to a project in the round. 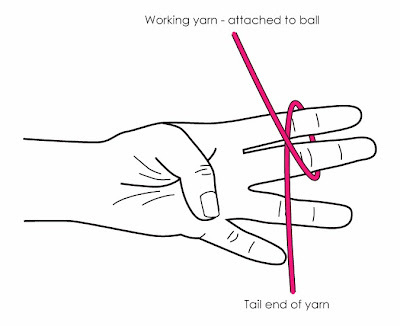 Steps 2 and 3 can be a bit fiddly but once you get the hang of it you'll be churning out perfect bear bottoms in no time.